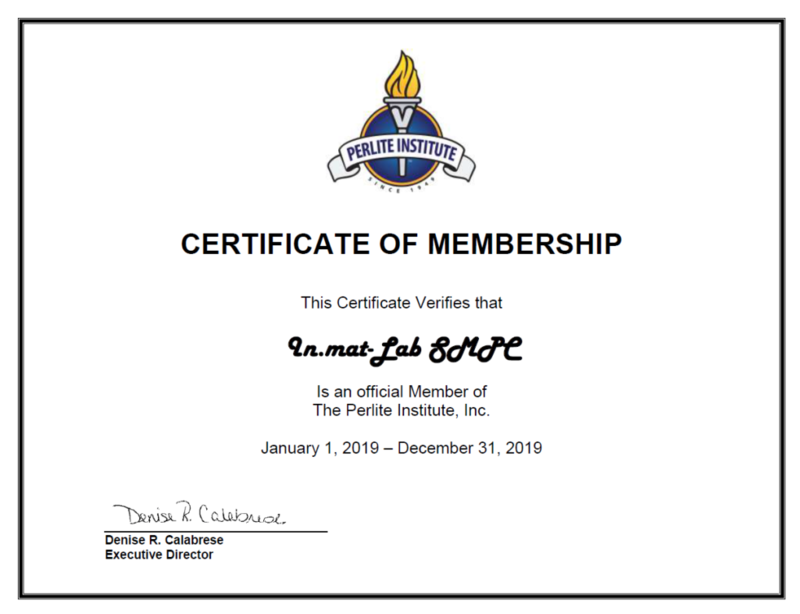 in.mat-Lab is happy to announce our entrance to Perlite Institute as Associate Members. Members of the Perlite Institute work together to learn the most efficient and effective ways to produce market-ready perlite, to build awareness among target industries of perlite’s incredible potential, and to research and then communicate the mineral’s properties to end-users. Based on a 25 years professional experience, our independent industrial minerals laboratory and consultation firm is operating a specialized laboratory for perlite with a multi-task lab furnace for perlite expansion. We provide analytical data regarding perlite’s properties and characteristics for its use and possible applications. covering services such as consulting, technical support and R&D. We will be happy to share our experience on perlite and assist on the next steps of development in the whole value chain of this incredible mineral.